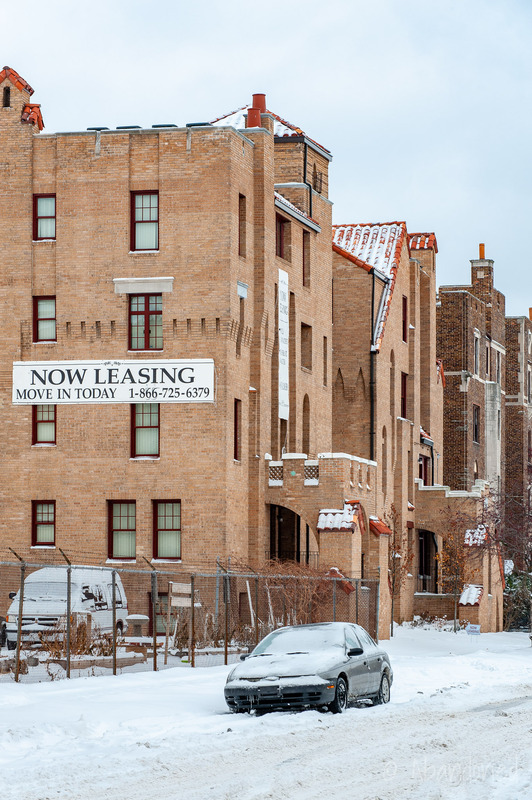 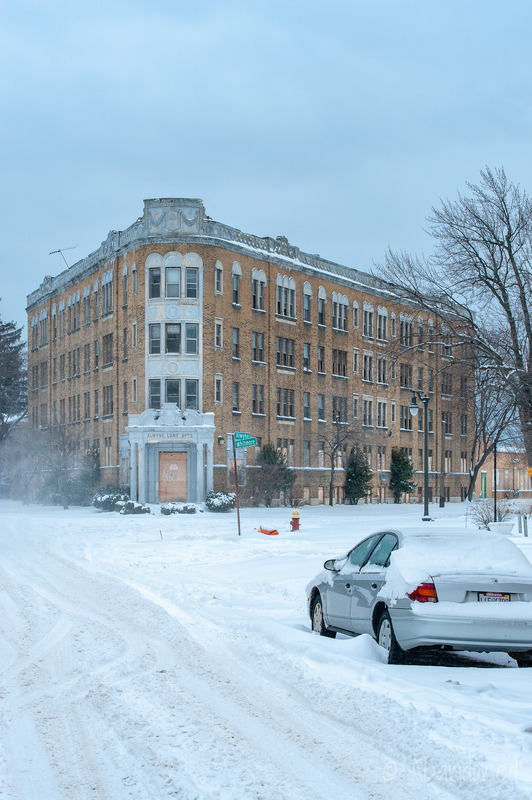 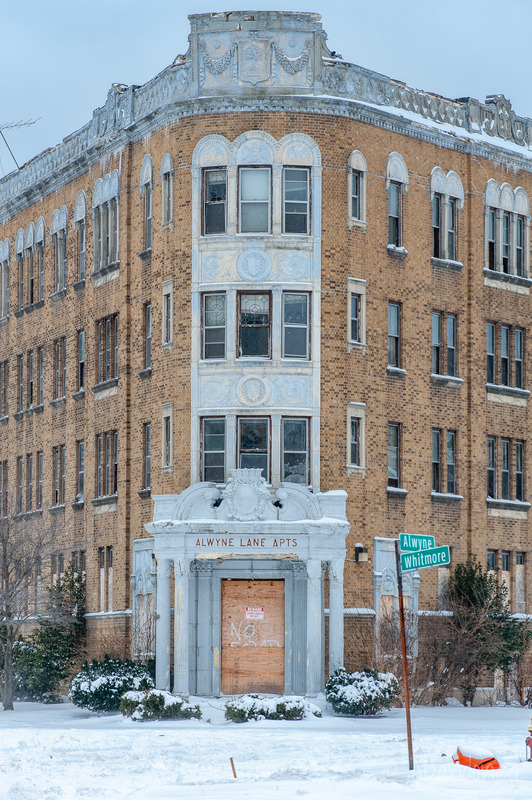 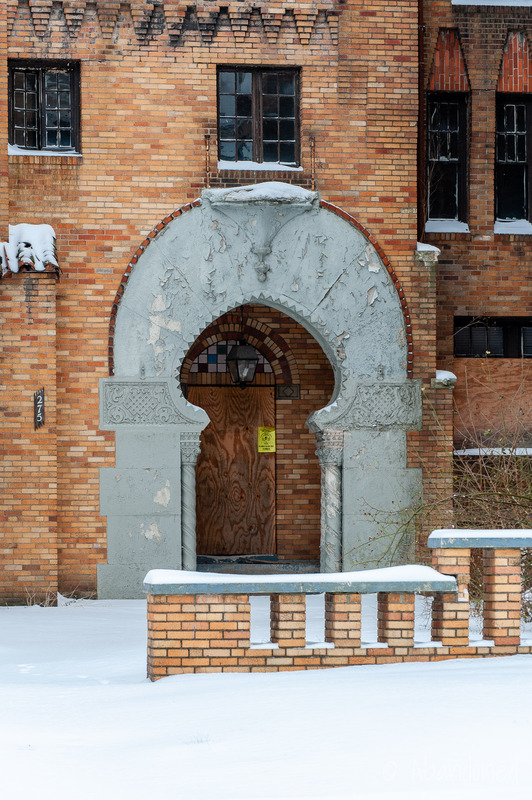 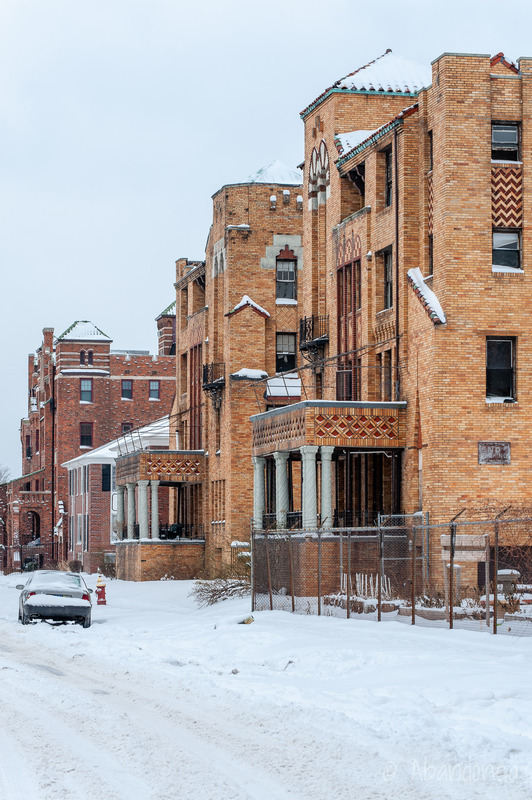 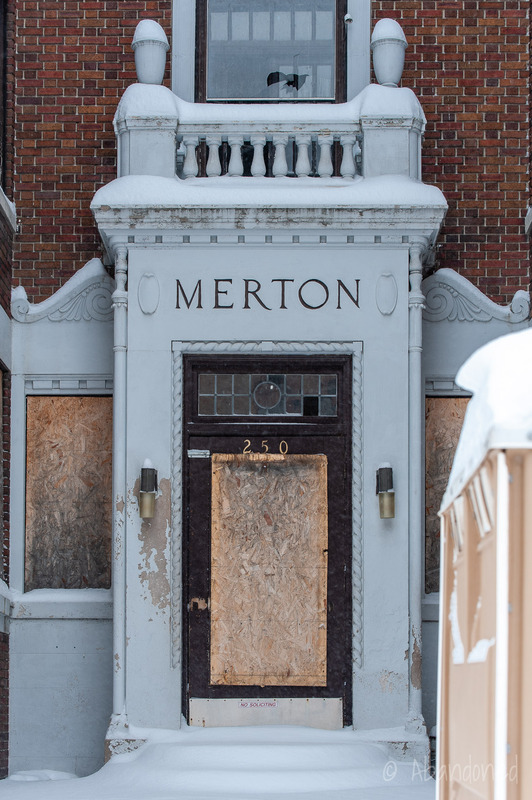 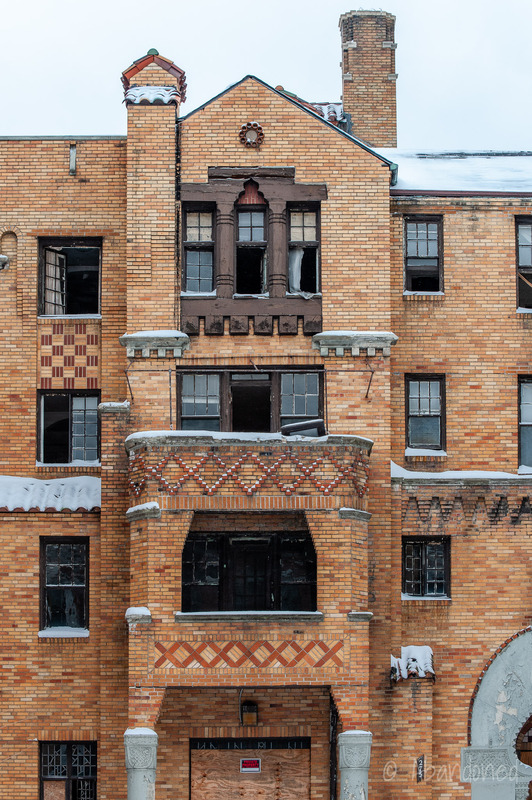 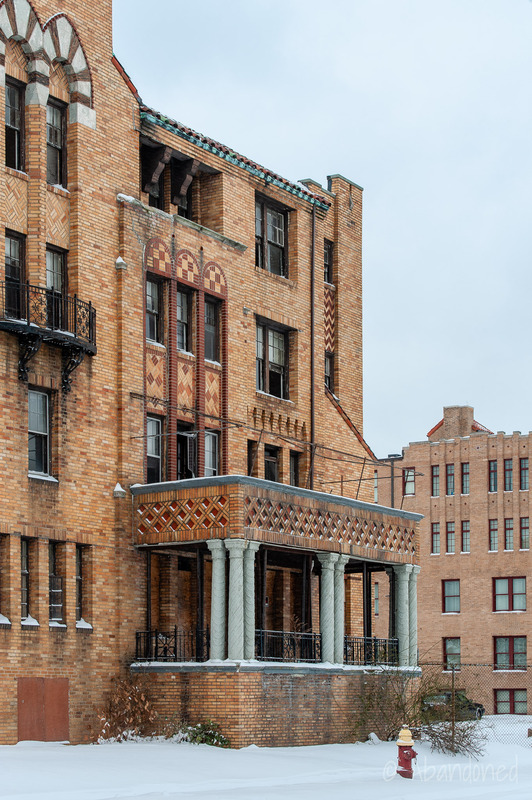 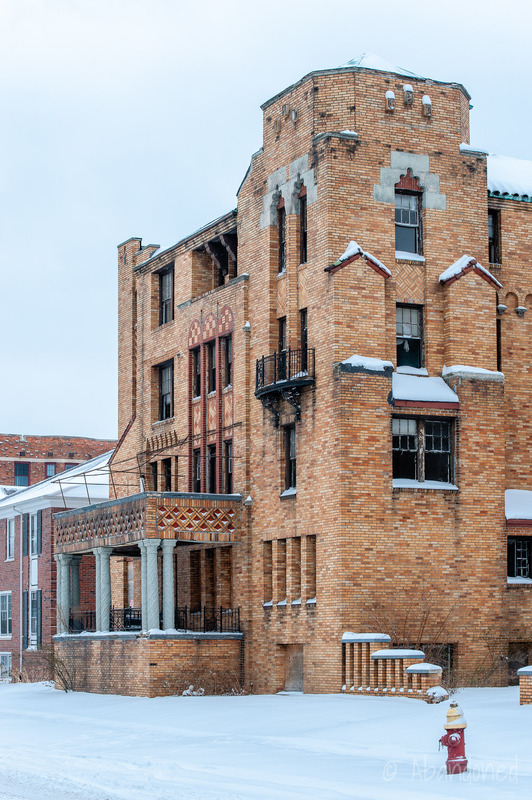 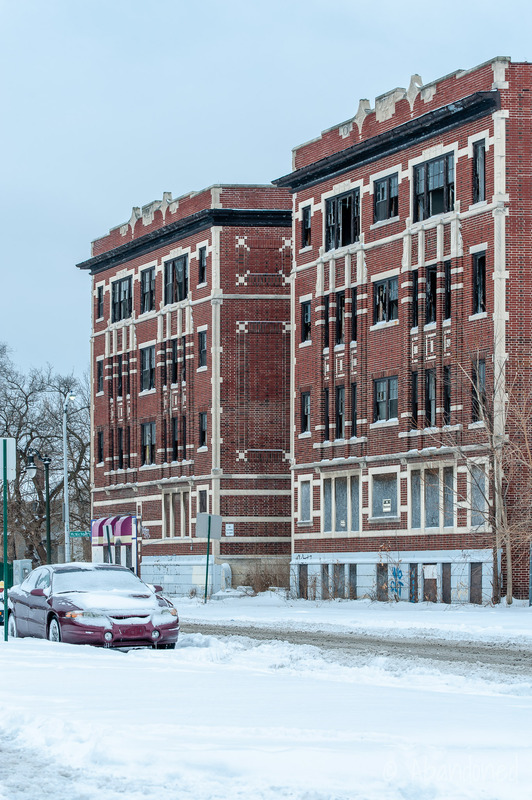 The Palmer Park Apartment Building Historic District is located in the Palmer Park neighborhood of Detroit, Michigan, and is well regarded for its ornate and varied examples of active and abandoned apartment buildings. 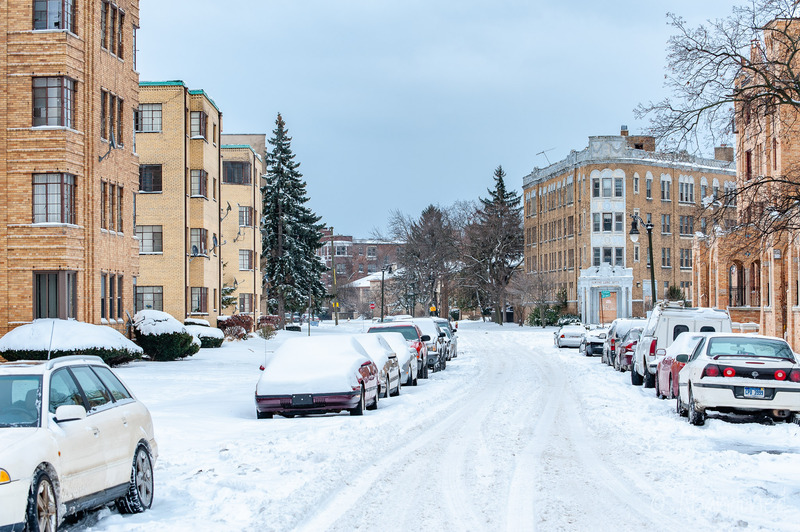 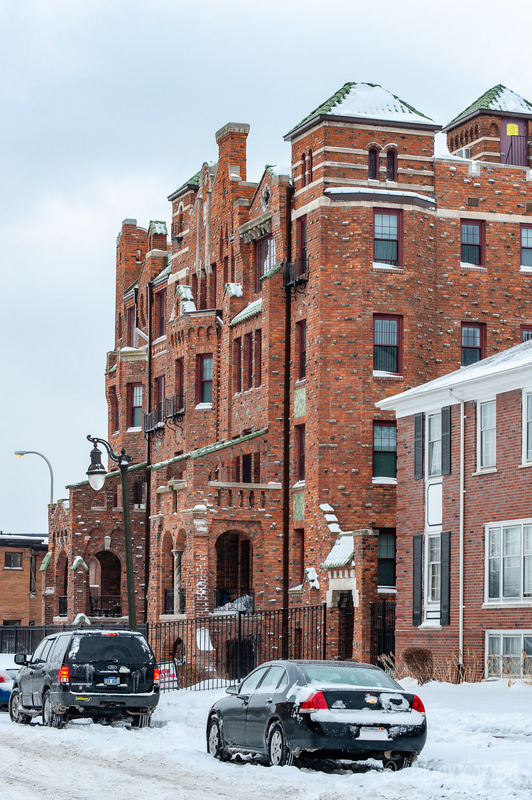 The neighborhood is named after Thomas W. Palmer, a wealthy Detroiter, one-time U.S. 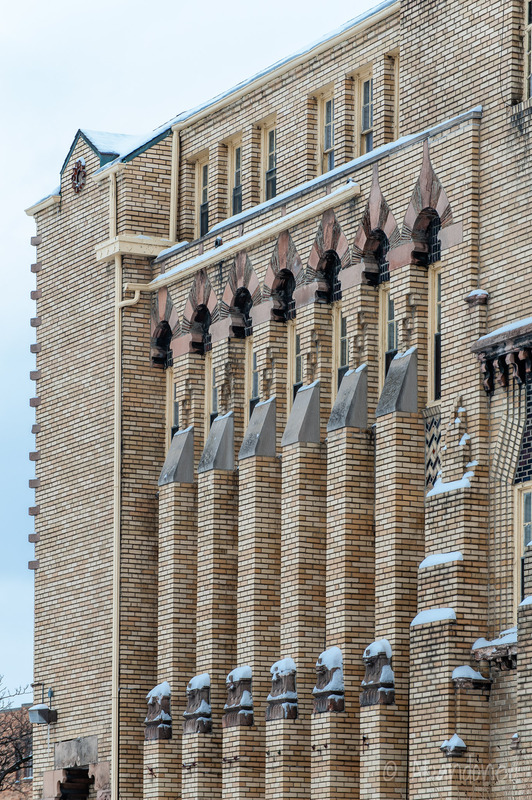 Senator and President of the Chicago World’s Fair of 1893. 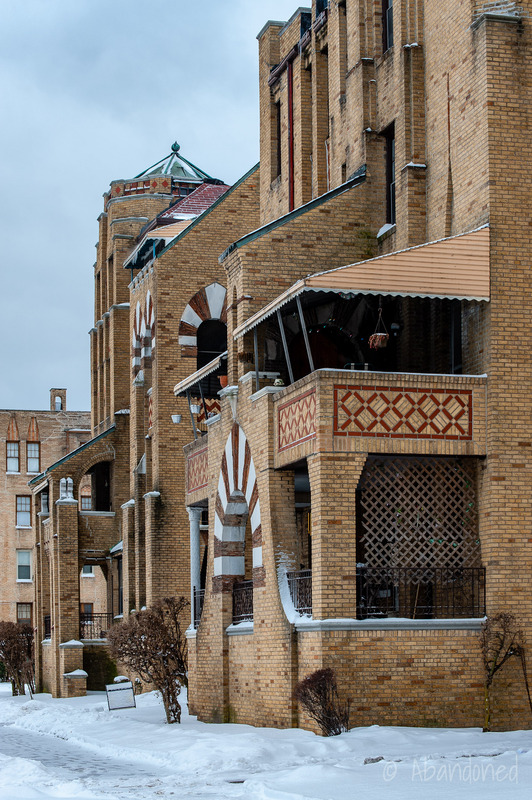 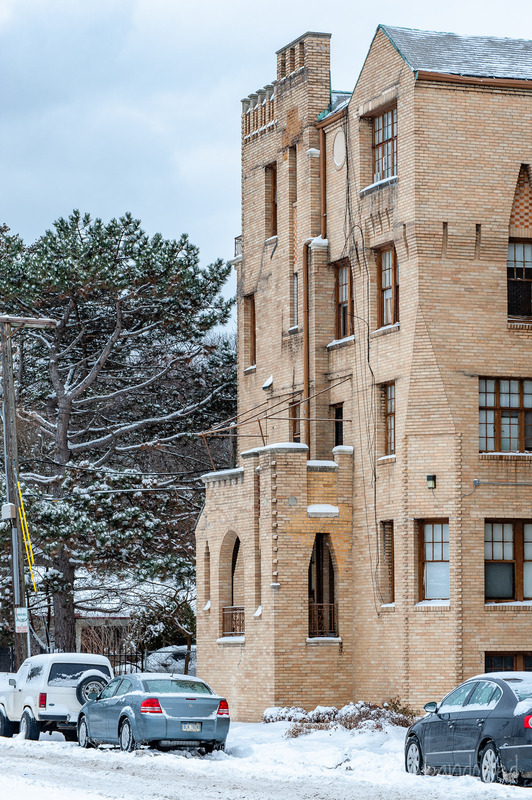 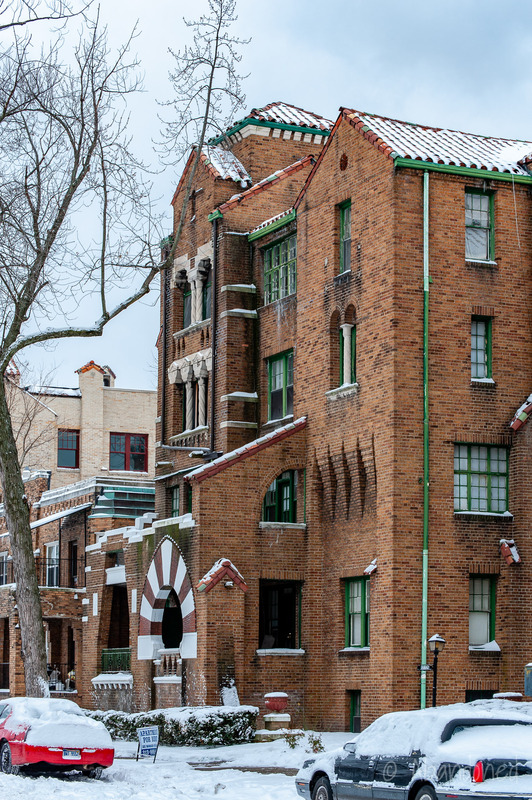 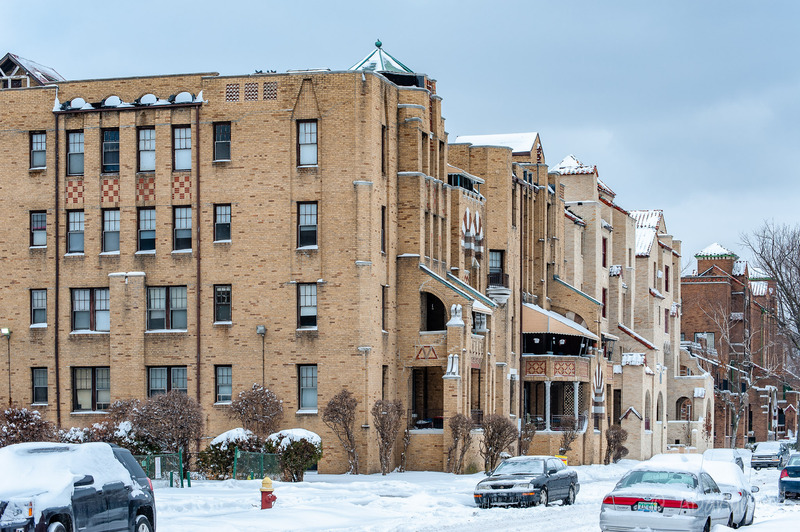 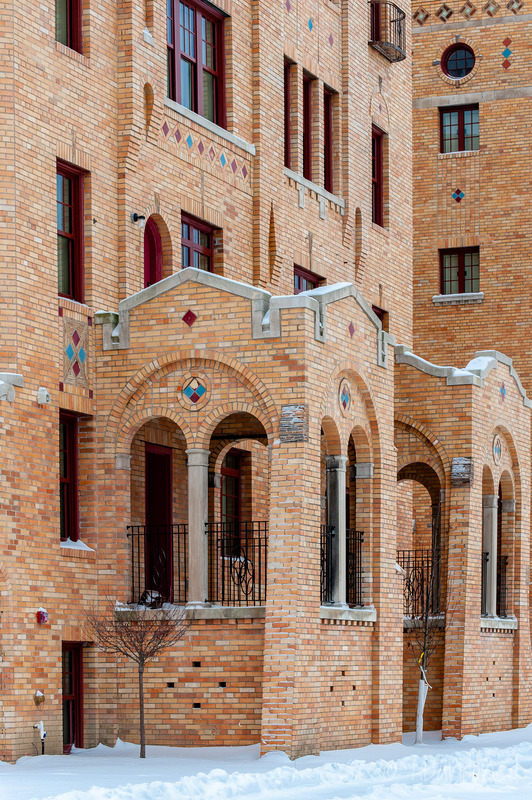 The neighborhood began to take form in 1925 when Walter Briggs acquired the estate of Palmer and hired Albert Kahn to design the Walbri Court Apartments. 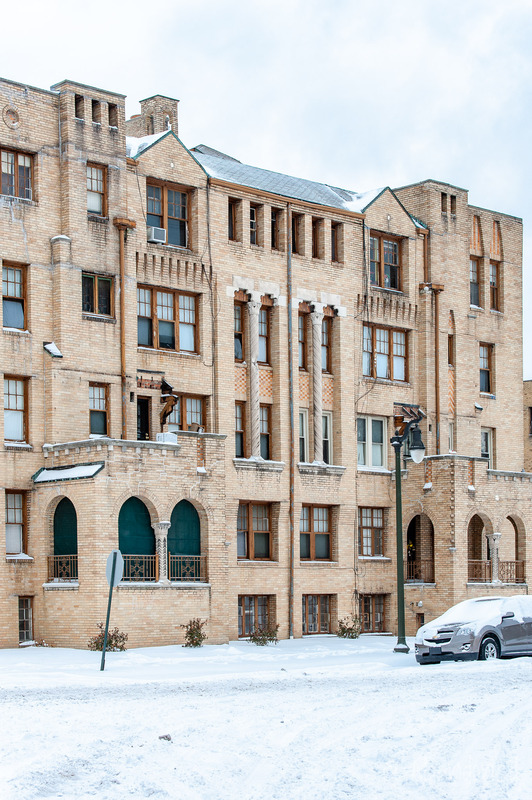 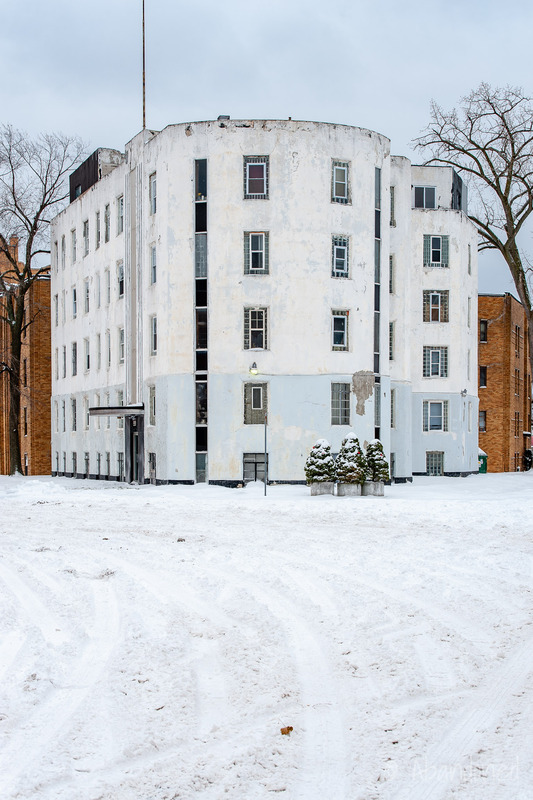 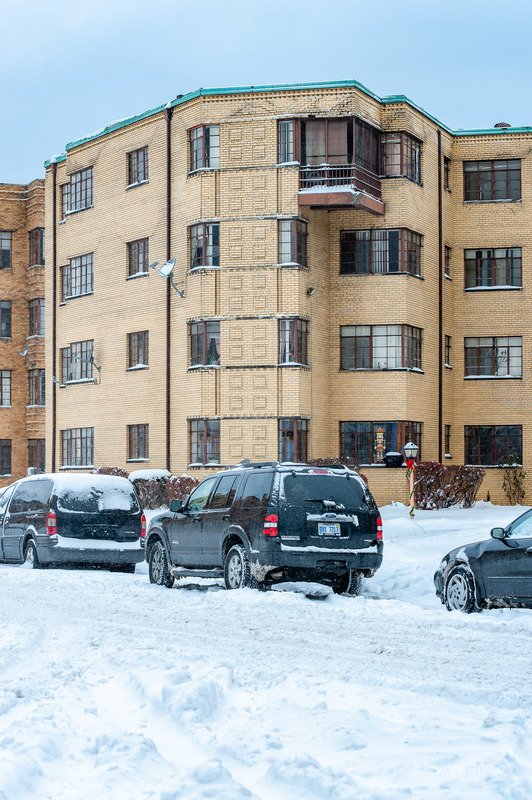 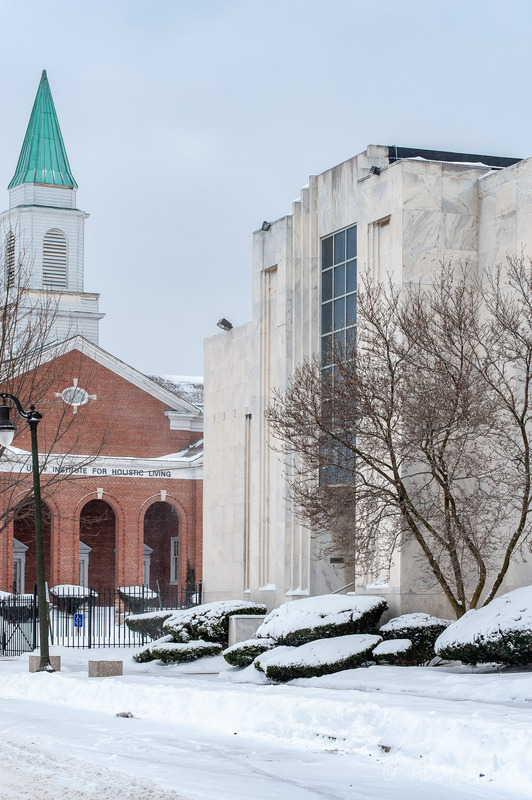 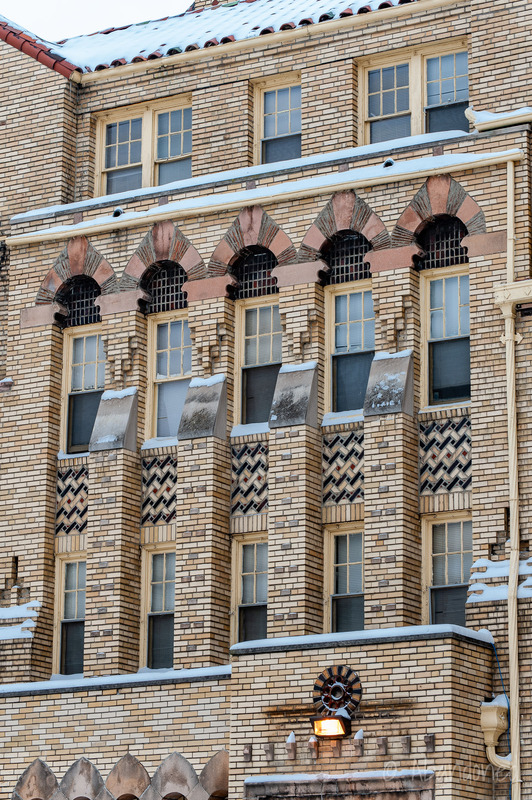 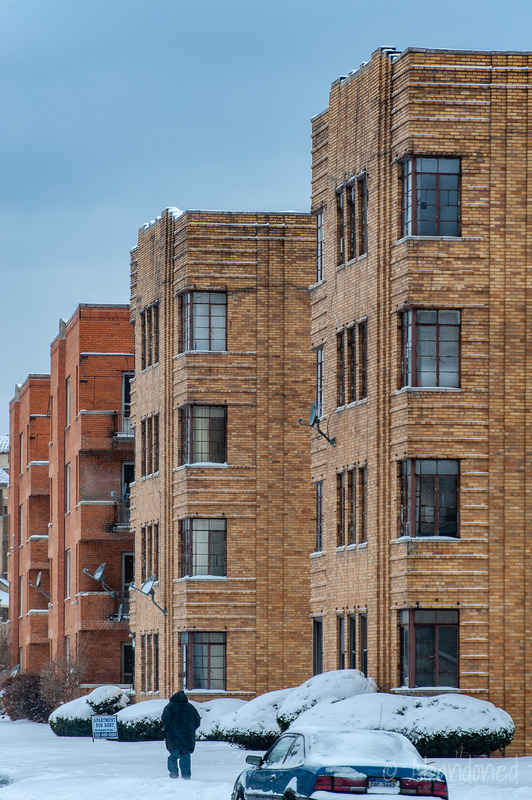 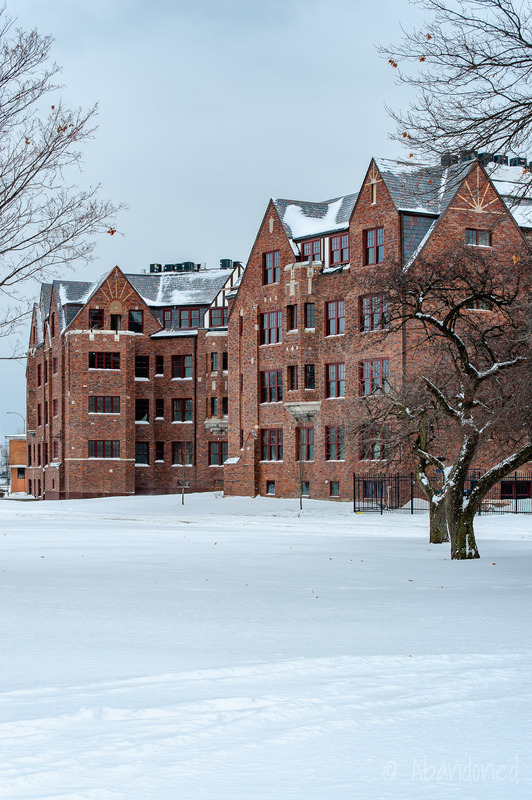 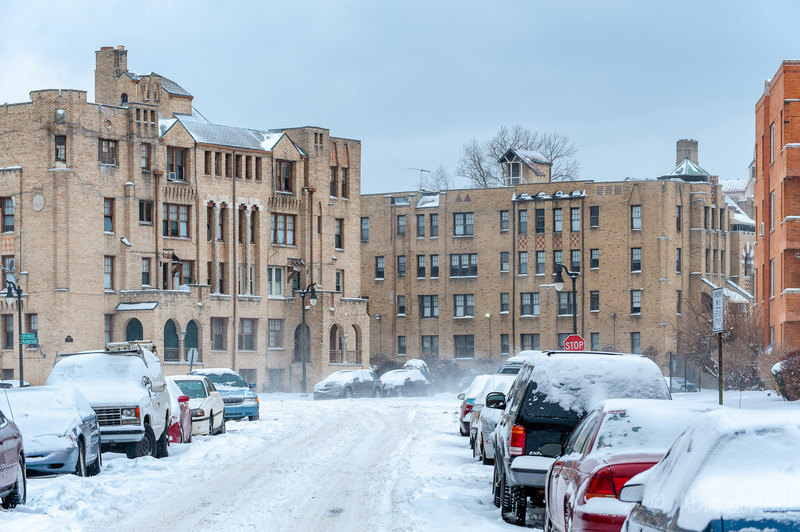 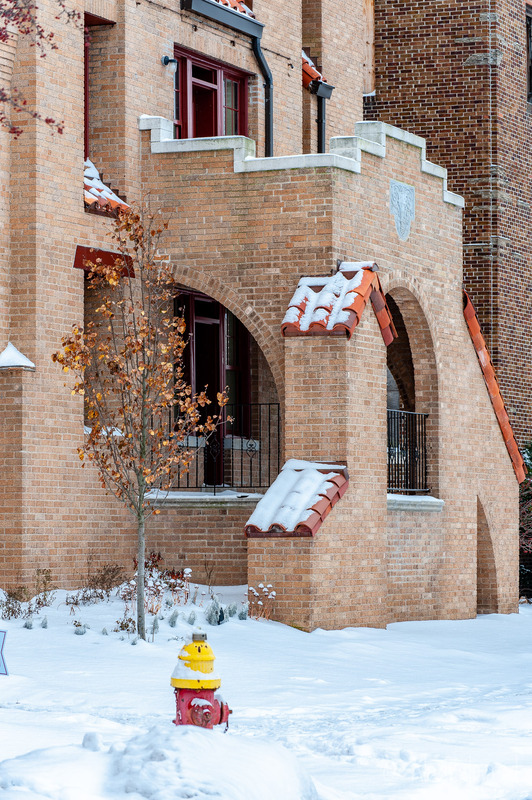 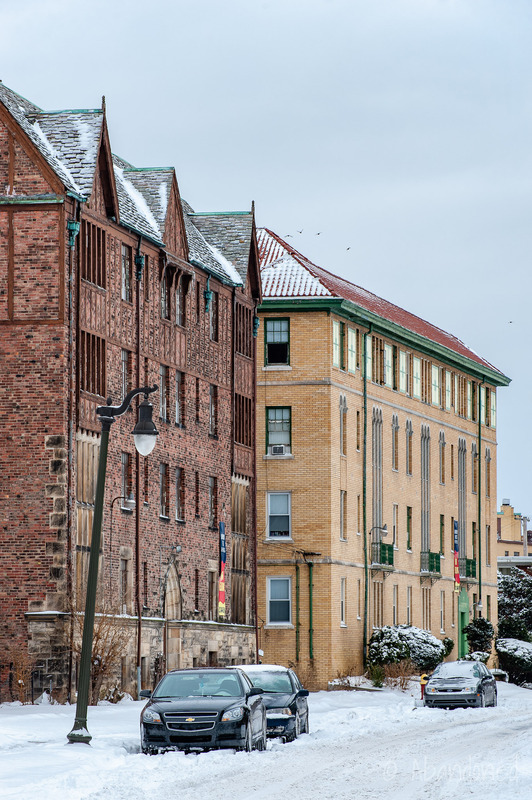 The majority of the 40 buildings in the district were built between 1925 and 1965 by multiple architects, such as Weidmaier & Gay, Robert West, and William Kapp, with the majority built in the 1920’s and 1930’s. 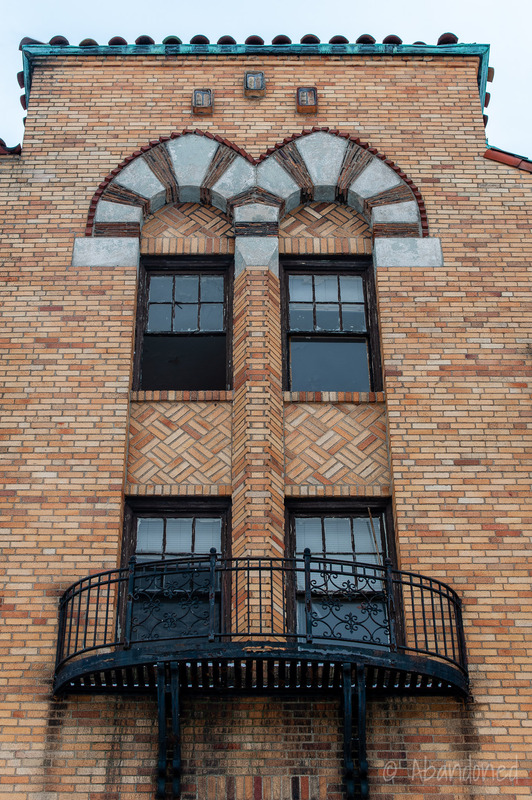 The mostly five- and six-story structures featured Egyptian, Mediterranean, Moorish Revival, Spanish Colonial Revival, Tudor, and Venetian architectural styles, along with severely plain Art Moderne and International styles. 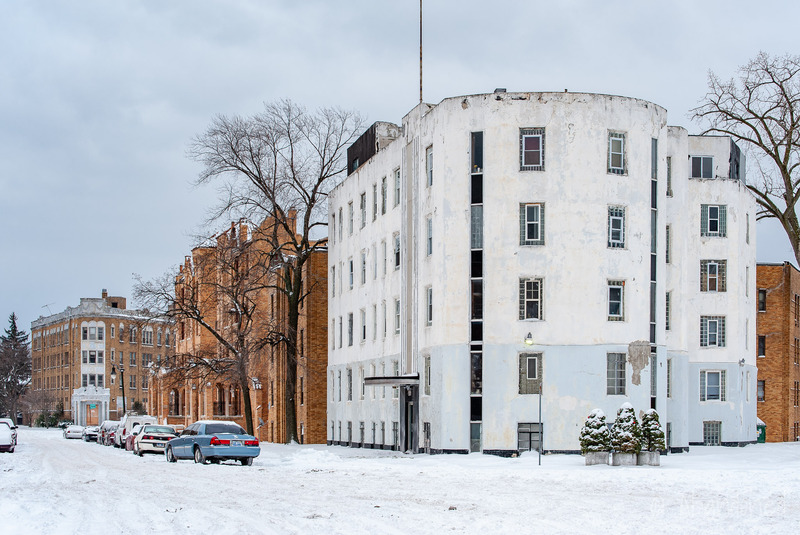 The photos were taken in December 2013, with many buildings in poor condition or abandoned, partly because of the national recession. 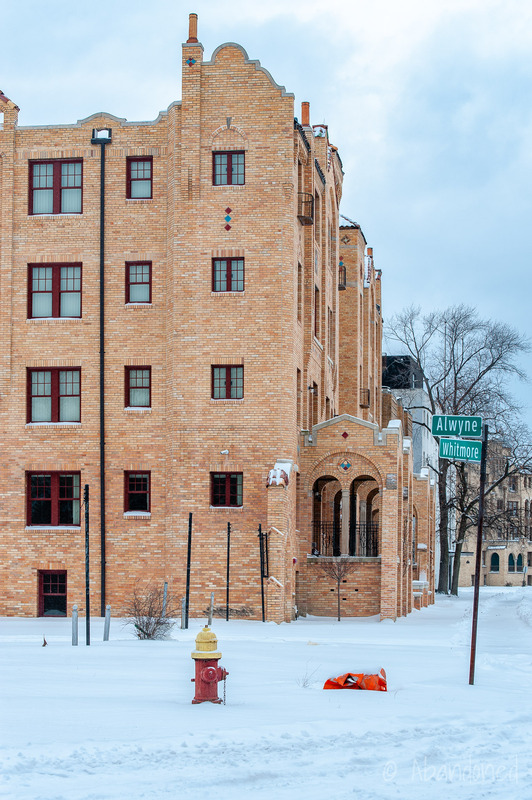 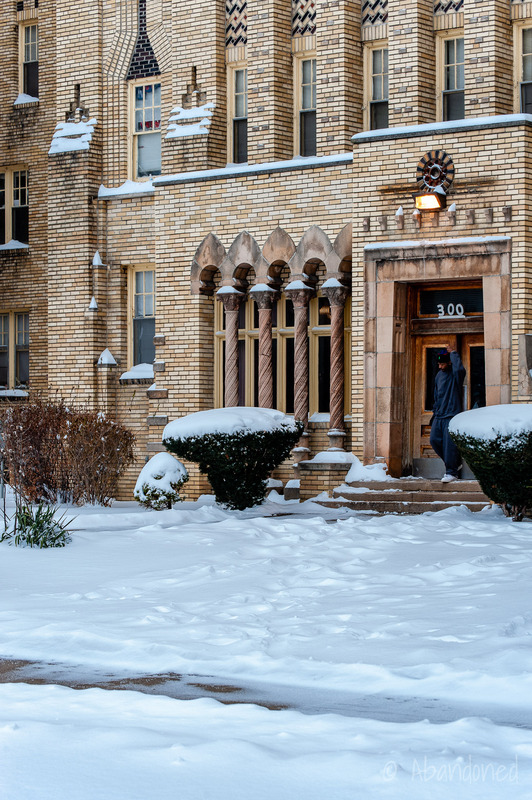 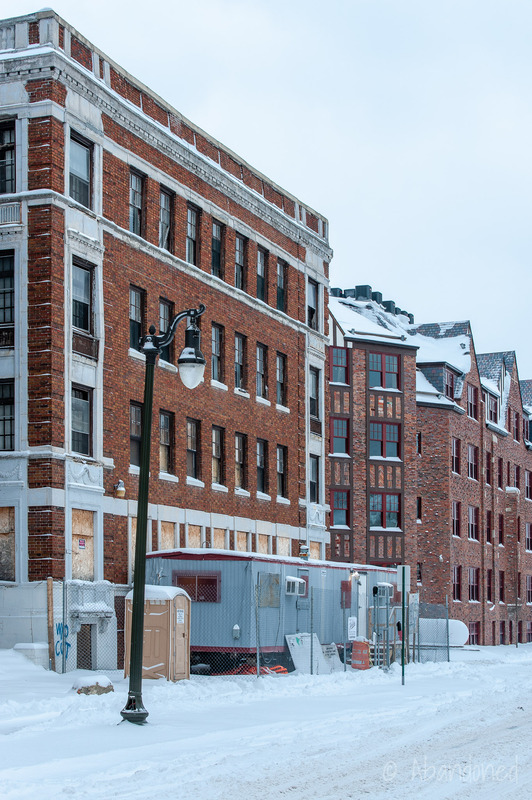 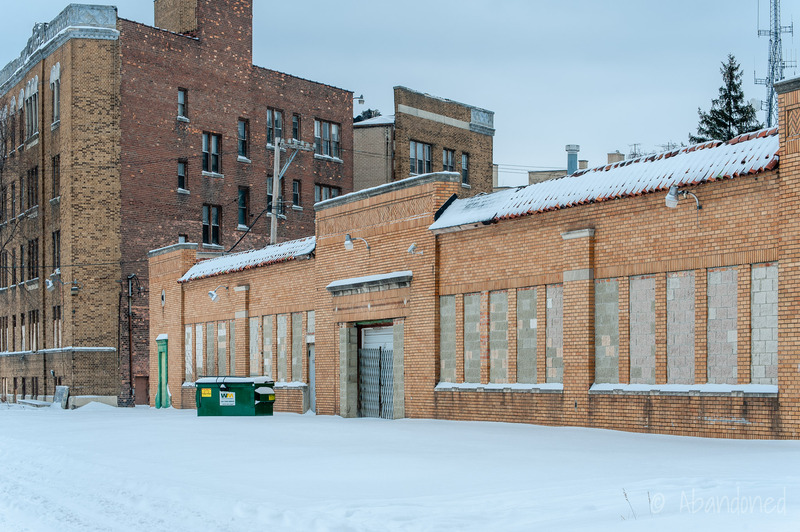 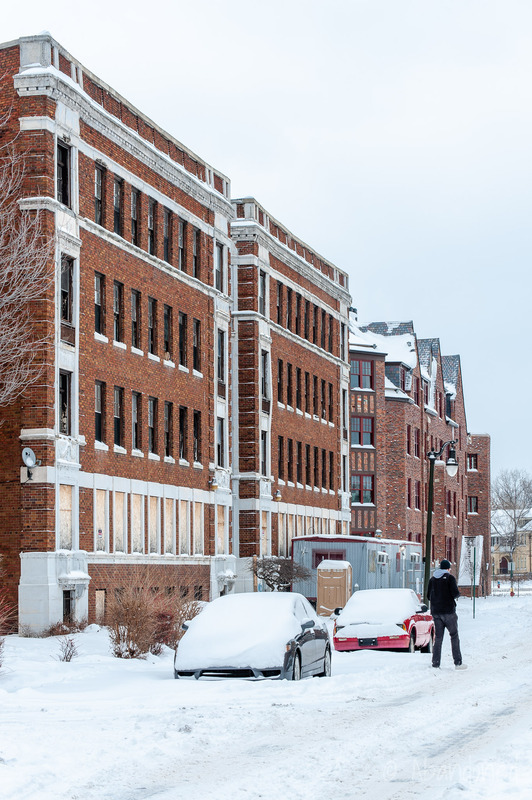 A lot has changed in the neighborhood since then, with some of these beautiful apartments being rehabilitated into middle– and upper-class units thanks to its proximity to the emerging Midtown district and Ferndale.